Page "Introduction" | Page "Eclipse" | Page "Google Map" | This is page "Weather"
Only the inland viewing sites offered a nearly clear sky, the area located to the north being the most favorable. For the beaches from Cairns to Port Douglas the success rate was very variable. The satellite image on the left is taken at 20:30 UT, 10 minutes before totality, and the one on the right at 21:30 UT, 50 minutes after totality. Early morning there were clouds lingering over the horizon. During the morning clouds started to build up. 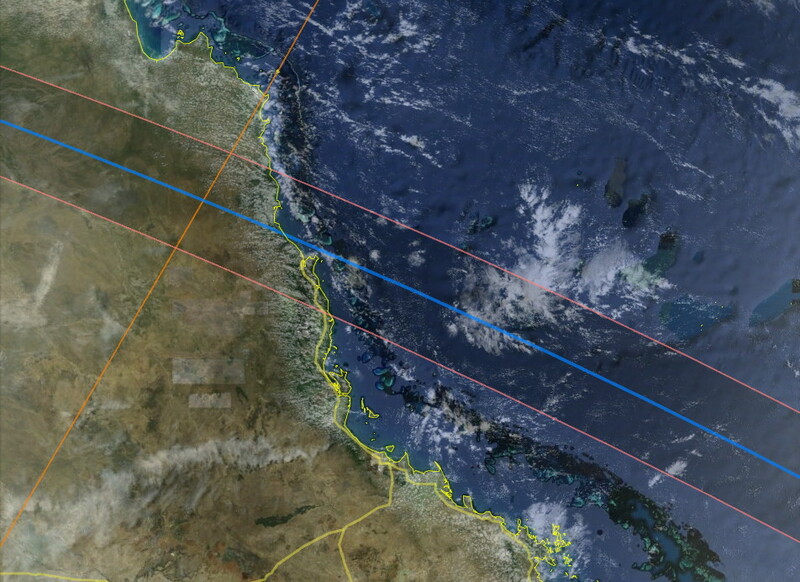 The area around Cairns was to be avoided as clouds over the Cape Grafton peninsula obscured totality. 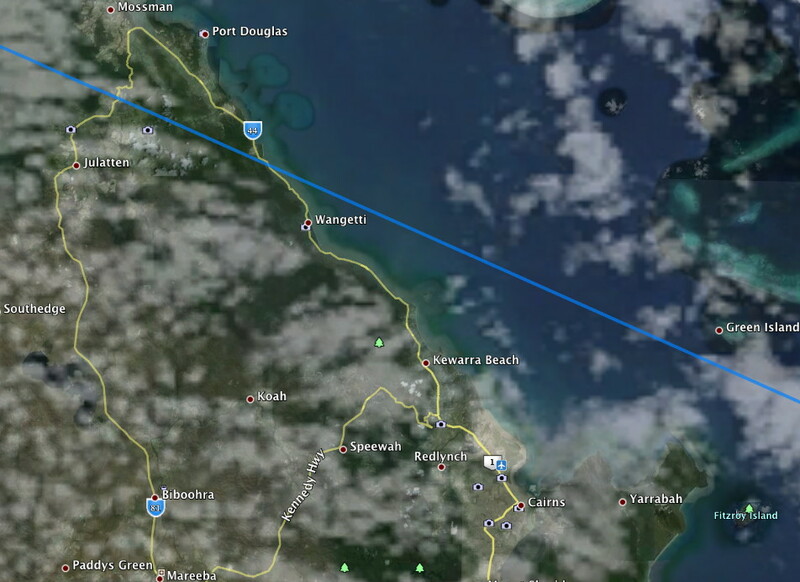 However it was fine for the beaches to the north of Cairns up to Port Douglas.